Be free to admire Madrid's architectural and cultural wonders on this hop on hop off double-decker bus, taking you along the route of your choice. Explore the city highlights with an audio guide. 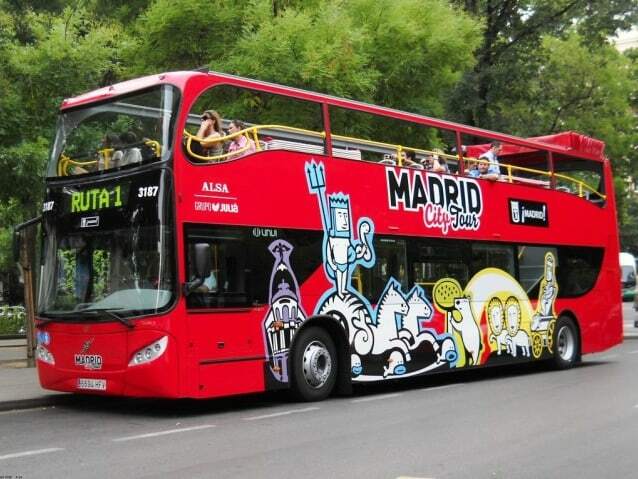 1 Day Family Ticket for the Madrid Hop-on Hop-off City Sightseeing Tour includes access for 2 adults 2 children. The ticket is limited to 1 per family. At time of booking, select 'one' pass for the quantity. Please present your VELTRA voucher to the bus driver at any of the stops along the route. Audio guide is available in Spanish, Catalan, Gallego, Euskera, English, French, German, Italian, Portuguese, Dutch, Russian, Chinese, Arabic and Japanese. Kids’ Channel is available in English and Spanish. You can begin your hop-on hop-off tour at any of the Madrid City Tour stops by showing your voucher when getting on board. This was an excellent way to see all of the sitest in Madrid and figure out the layout of the city and what I wanted to come back to see. The staff were very helpful.